Our inspections are the most thorough inspection reports available. 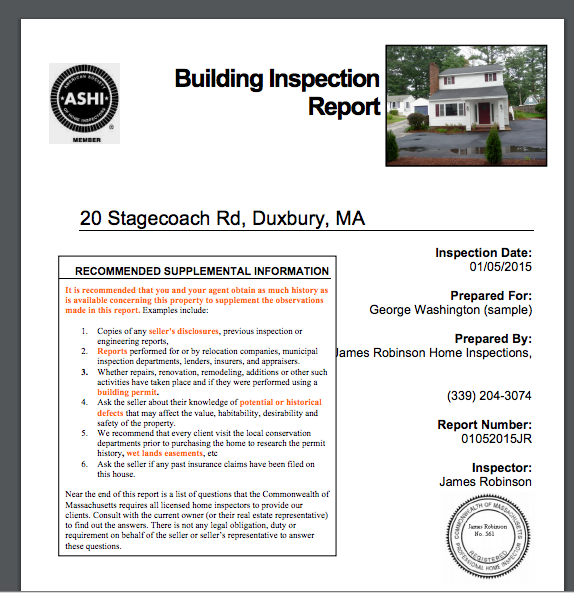 Click on the link below or the inspection report image to see a home inspection report sample. Take a look at our home inspection report sample so you can see the difference! Call us now to schedule your inspection at 339-207-3074.